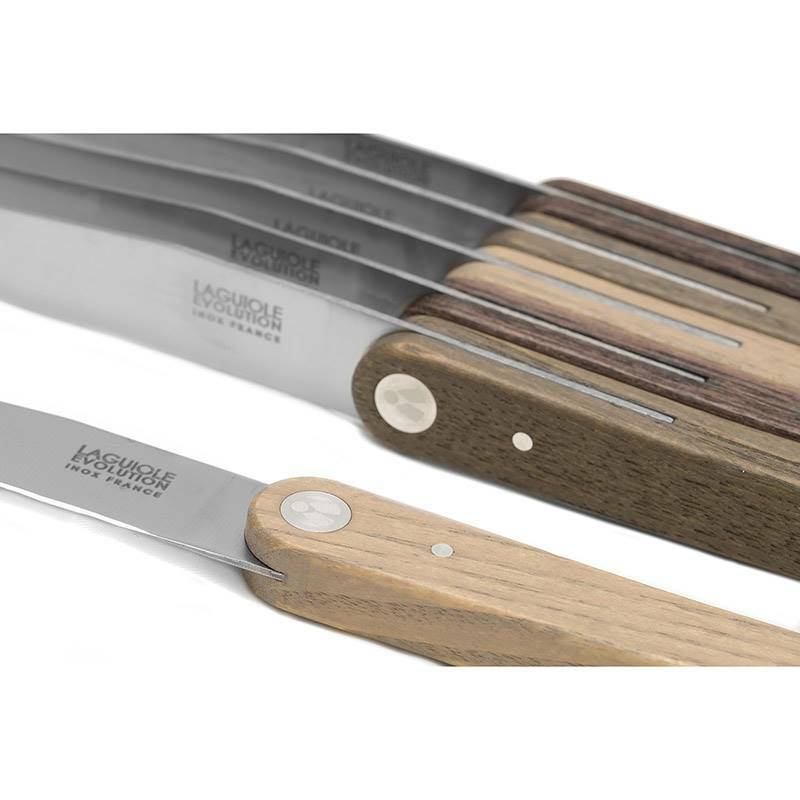 Manufactured in France with noble materials, these steak knives, coming from the Laguiole Evolution range, offers an efficient use. Their tempered stainless steel guarantee solidity and high resistance to wear. 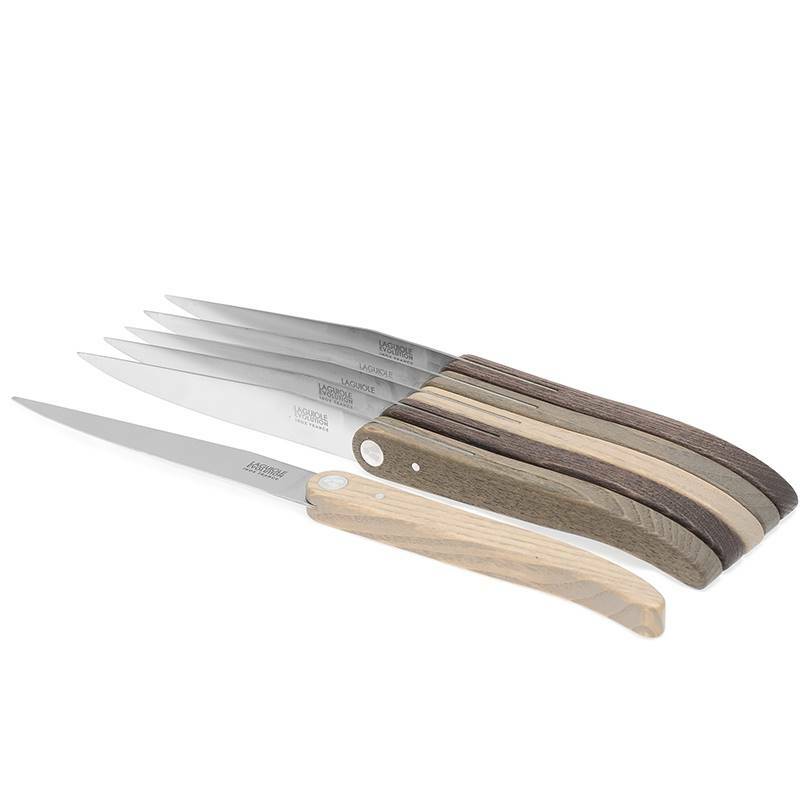 The rounded handles of these kitchen knives ensure a comfort in use to make neat and precise cuts. Symbol of the Laguiole brand, the stainless bee logo has a particularly elegant design. 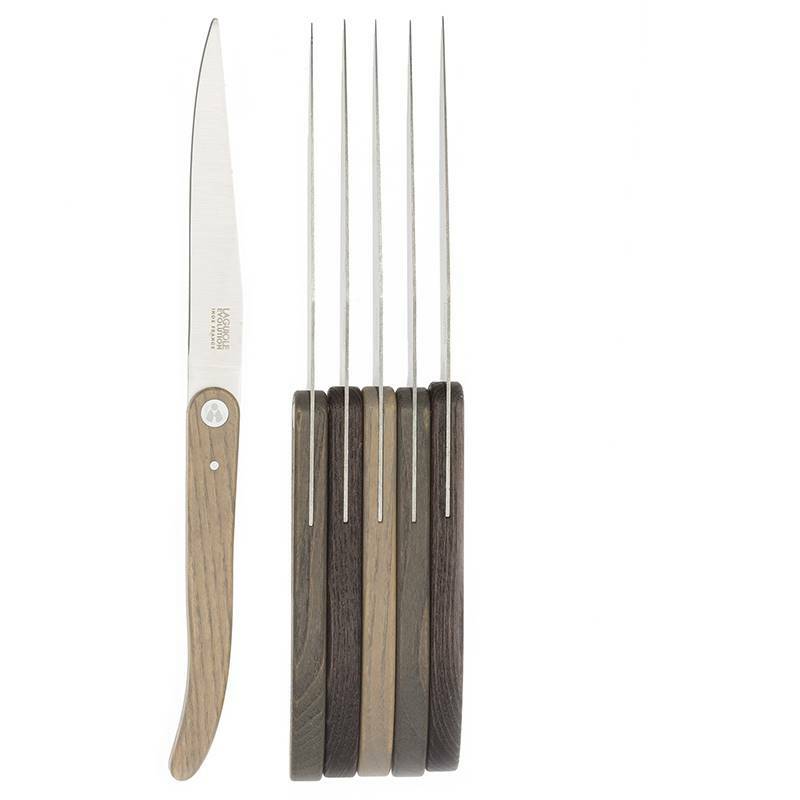 Created to be performing, these Laguiole Evolution steak knives are manufactured in the cutlery of Thiers and benefit from the latest manufacturing process. TB Groupe adapts its knives to meet every customer’s expectations and ensures the best quality. 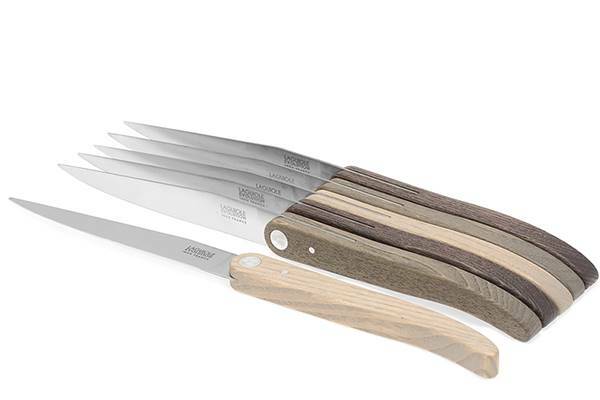 TB knives are renowned for their performances and their outstanding sharp edges.